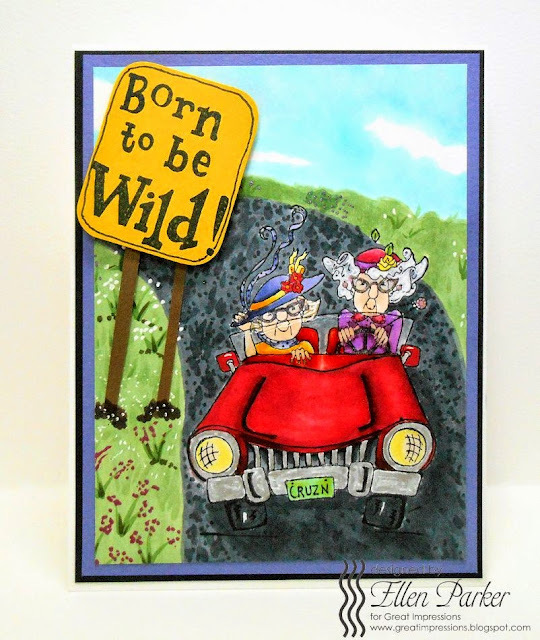 Mable & Vera decided to take a road trip this month and as you can see they are having a ball! Want to read more about how I made this card? Please hop over to my blog for all the scoop! I hope you enjoyed the card! Hehehe, this is such a fun image. I just love your card. Looks like me and my stamping friend on our way to our local stamp shop. LOL. We went Sunday and I was surprised to see how many Great Impression stamps they carry. WooHoo. Thanks for sharing.